Europe is one of the most dynamic and interesting areas of the world, pioneering in the European Union a new form of governance for half a billion people, represented in the world’s first directly elected transnational parliament. 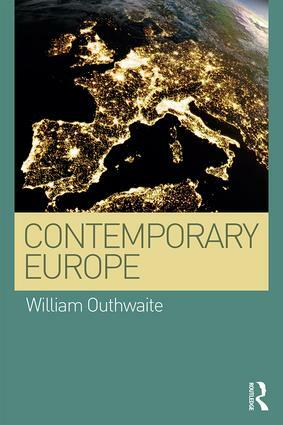 This book situates the European Union in a broader European, global, historical and geographical context, providing a readable presentation of the most important facts and drawing on the theoretical approaches which have transformed the study of contemporary Europe over the past two decades. The book counter this misperception, conveying the essential facts and theories of contemporary European reality in a clear and approachable analysis. It will serve as a readable introduction both to the academic field of European studies and to contemporary Europe itself.